1) It addresses all three sides of what Christmas is about for us and does that in a way that allows the author of the work to manage to sound like he means it on each theme. Into the first category, I would offer to place “Do You Hear What I Hear?”, “Hark the Herald Angels Sing”, “O Come All Ye Faithful”, “O Little Town of Bethlehem”, and “The First Noel (sic)”. 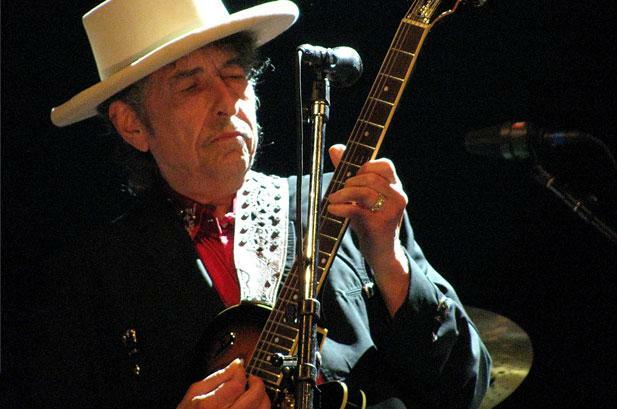 Amongst these songs Dylan manages to tell us the whole of the Nativity story. In order to do this he relies entirely on traditional songs. It might have been interesting to have heard a composition of his own on the Virgin Birth to stand alongside his “In the Garden”, an account of the Easter story and arrest of Jesus. Others have done this, perhaps most notably Bruce Cockburn, with some success. But ah, we cannot have everything and this selection of five will do nicely. 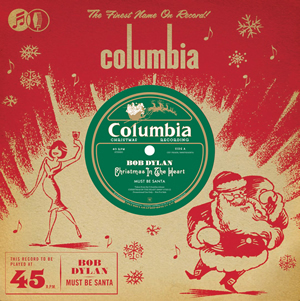 The most frequent criticism of this album is that Dylan croaks like an old man but last I checked our Christmas traditions are filled with old men. Amongst these is Ebenezer Scrooge who Dylan steals the title of the album from and who also promised to celebrate Christmas in the heart. There is no doubting Dylan’s sincerity on this theme either. He is celebrating Christmas in his heart in this recording. The album is often compared to the cash-cows released by non-believing stars at the Christmas season but I’m afraid I’m not hearing any of that. Just listen to the way that Dylan declares “Our Nowell!” (the correct spelling of the old English word by the way) at the end of “The First Noel” or the way he anunciates the concluding verse of “O Little Town of Bethlehem” and adds a deep and resounding “Amen!” to conclude the record. In order to consider my second theme we must consider another elderly man associated with Western traditions of Christmas celebration: Santa Claus. 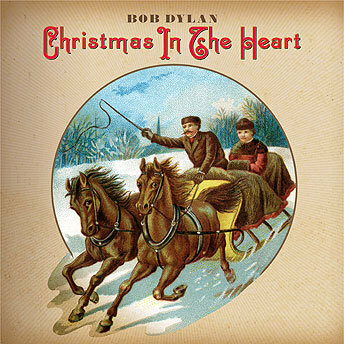 Old Saint Nicholas is on this record over and over again and Dylan sounds like he is having great fun singing about him. My favourite of these four is “Must Be Santa” which should be a compulsory sing-a-long for every family at Christmas time. Dylan may “wheeze like a drain” on the song as one reviewer put it but any old man who wheezes like a drain whilst having so much fun would be very welcome ’round my house at Christmastime. This isn’t high art but who would have thought it. The Bob Dylan who composed the ever-so-wordy and ever-so-worthy “Desolation Row” and “Visions of Johanna”, sounding like he is having deep, deep fun and not taking himself seriously and certainly not as seriously as some commentators are tempted to take him. Then we have the Hawaiian feel of “Christmas Island” and a straightforward version of “Winter Wonderland” which was even used on BBC’s “Match of the Day” last week. More royalties for Crisis at Christmas prised out of the bah! humbug! Beeb. Nothing to complain about there then. The third theme I’m suggesting concerns family and tradition. The wartime “I’ll Be Home For Christmas”, the sadness and longing of “The Christmas Blues”, something of a shopping theme in “Silver Bells”, Mel Torme’s “The Christmas Song” and the good wishes of “Have Yourself A Merry Little Christmas”. Each of these are tastefully arranged, nicely thought out and enthusiastically sung. The backing vocalists particularly add a flavour of an earlier time when Christmas seems in our minds to have been less about commerciality and more about family and snow. Maybe it’s in our imaginations and wishful thinking or in Bob’s but wouldn’t it be nice to get back there instead of creating an atmosphere where customers attack shop assistants on “Black Friday”. There are two tracks that I have left out so far. 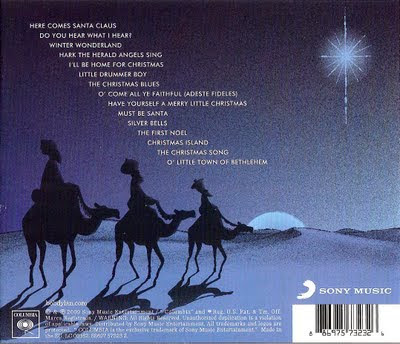 Firstly, “Little Drummer Boy” which seems to nicely span the gap between the faith-side and the fun-side of Christmas and “Twas the Night Before Christmas” (only on the single which came free with the vinyl version of the album) which bridges the fun and traditional sides of my scheme. Both are a pleasure and a joy. Even the artwork of the album lends itself to this three themed interpretation. For fun we must look no further than the Santa-and-stockings-and-suspenders illustration of Betty Paige. For family, we look to the Victoriana of the sleigh ride front cover. Herod made that journey, Dylan made that journey, the song suggests that Satan the fake “man of peace” is overcome by the vulnerable Christ-child who brings true peace. “Christmas in the Heart” has a lot of that true peace to share. Finally, let’s not forget that all Mr Dylan’s royalties from this album “in perpetuity” go to help feed the homeless and hungry. Another reason to enjoy the album if you needed anymore. Not only this, it turned me from someone who didn’t really get along with traditional Christmas music to someone who annually spends the week before Christmas and the twelve days that follow it soaking up all the musical atmospheres of this wonderful season which is in its own way a positively Scrooge-like transformation. I’m going to sit here listening to some more Christmas music. Jethro Tull, Bob and Hilary James, Dave Brubeck, Frank Sinatra, Judie Tzuke, Roger McGuinn, Fourplay, Al Perkins, Alexander Zonjic, the Vince Guaraldi Trio, the 4 Seasons, Al Green and Kirk Whalum are amongst my favourites but first on my list is “Christmas in the Heart”. An album that I’m hoping will “Stay With Me” for many years to come. This entry was posted in bob dylan, music, Review and tagged 4 Seasons, a christmas carol, al green, al perkins, alexander zonjic, bob, bob dylan, bob james, charles dickens, christmas, christmas carols, christmas day, christmas in the heart, Christmas Island, Crisis at Christmas, dave brubeck, do you see what i see?, dylan, ebenezer scrooge, Feeding America, fourplay, frankie valli, Frankie Valli and the Four Seasons, hark the herald angels sing, Have Yourself A Merry Little Christmas, here comes santa claus, hilary james, jethro tull, judie tzuke, kirk whalum, Little Drummer Boy, Magi, Man of Peace, Mel Torme, must be santa, o come all ye faithful, o little town of bethlehem, Silver Bells, the christmas carol, the first noel, the first nowell, Three Wise Men, Twas the Night Before Christmas, vince guaraldi, vince guaraldi trio, Winter Wonderland by twilightdawning. Bookmark the permalink. PS the Sinatra thing will really be tough for them to “get”. They won’t get it at all.